The thing that strikes me most? What incredible parents they are. It's hard to believe Sam is eighteen months old (already). He's toddling around .. babbles all of the time .. and is their favorite person in all of the world. Sometimes he looks at them tenderly .. places a dimpled hand on his mom's face and then lunges forward giggling. He suits them well. Really, he's perfect for them. They have a rhythm. Once I got to the pantry .. I was mopey and complained about not having an id, money, and pretty much every excuse there was for not being able to get a job. One of the guys pulled me aside .. told me nobody wanted to hear my pity party and to come with him. He got me cleaned up, fresh clothes, a hair cut, a hot meal, and a swift kick in the shorts about being so negative. J: “So for the next few months I did all of the prep cooking. Every day .. dozens of people would come in and order seafood pancakes, banana popsicles, tofu stew, and steaming bowls of Bibimbap. It was my first time being exposed to food from a different culture .. everything from the tastes to colors on the plate. An egg is part of the mix as well .. although there are a couple of ways it can go. It can be fried and placed on top. .. or the more traditional way .. with the chef cracking it over the dish. As the egg is mixed into the rice .. it will cook in the steaming hot bowl .. with the runny yolk saucing the rice. Like many Korean meals .. individual ingredients are plated so beautifully .. allowing you to fully appreciate each one. Until .. with reckless abandon .. everything is mixed together. The possibilities are endless .. so use your favorite ingredients. 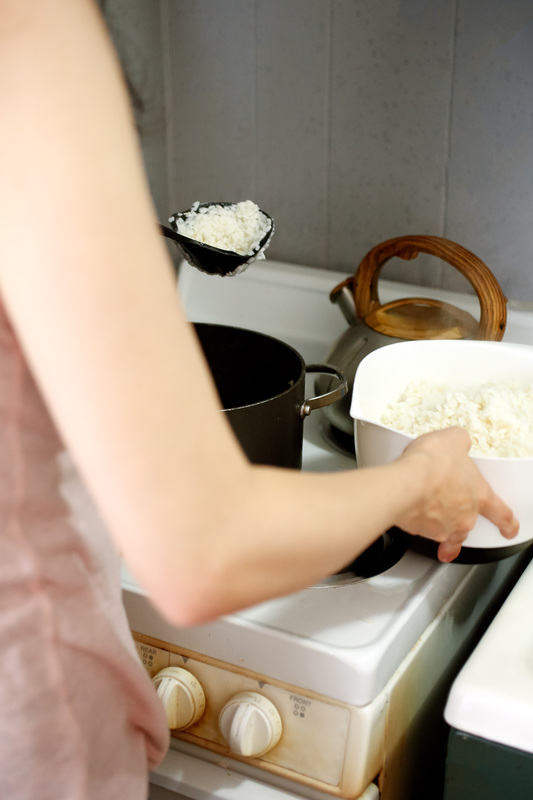 When it comes to cooking serving your Bibimbap .. there are a couple of ways you can go. Spoon the cooked rice into each bowl. Top with your cooked vegetables and meat, then add toppings. So grab some rice .. bowls .. and a few of your favorite toppings. But most of all? 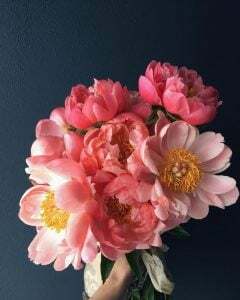 ps: I wish for you a wonderful (and long) Memorial Day weekend! Wow, what a story to go with such a beautiful dish. Sometimes bad things happen to put people in the right places. I have to see that now as we are losing our dream house and moving out of state. I think it has to be for a reason…so I’m in the right place. I hope. I always order bibimbap when I go to a Korean restaurant, Its my absolute favorite! 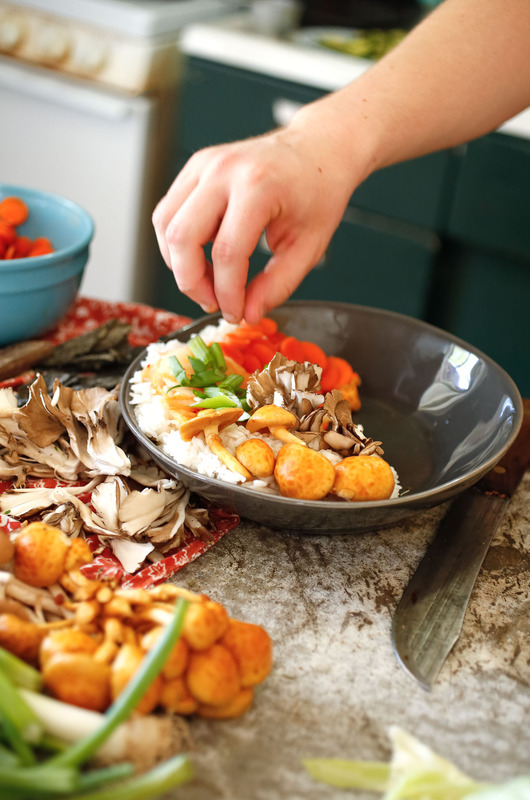 Are those raw mushrooms? I haven’t tried it with raw mushrooms before. Looks good! I just learned something new 🙂 I hadn’t heard of Bibimbap, but now I want to make some right away! Such a gorgeous dish and I love how versatile it is. This sounds like a very tasty dish and I love the atray of different ingredients that are part of it. This sounds like an incredible dish! I have never had a chance to try it but you made it seem so easy to make for myself. Can’t wait to try it! 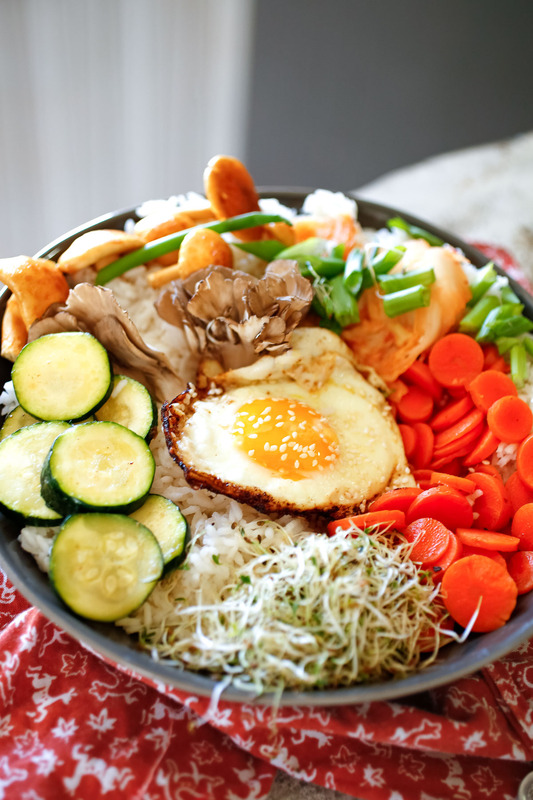 I have never heard of bibimbap before, but it looks delicious! Nice quote by Charlie Brown. Charles Schultz was such an insightful artist about highlighting simple things in life that we often lose focus on. 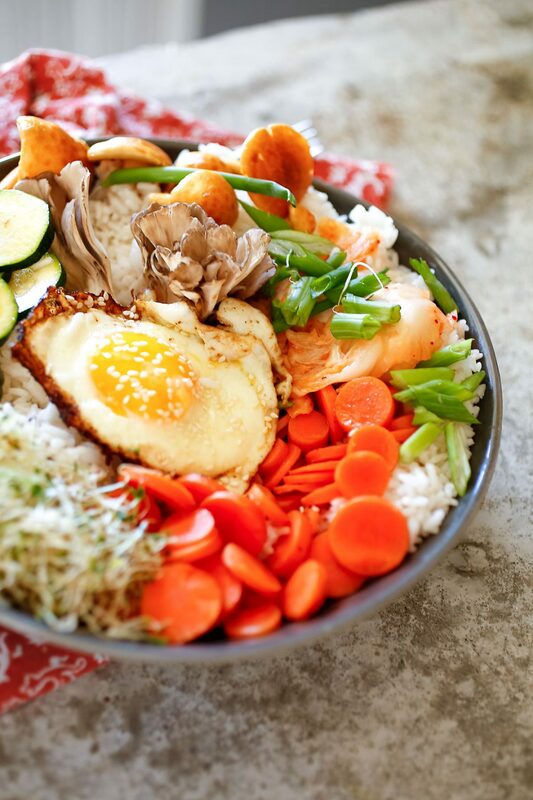 I have never tried or heard of Bibimbap, but boy does it look delicious. Your grandson is literally the cutest thing in the world and glad you gotto spend time with your family. I love Korean Bibimbap. 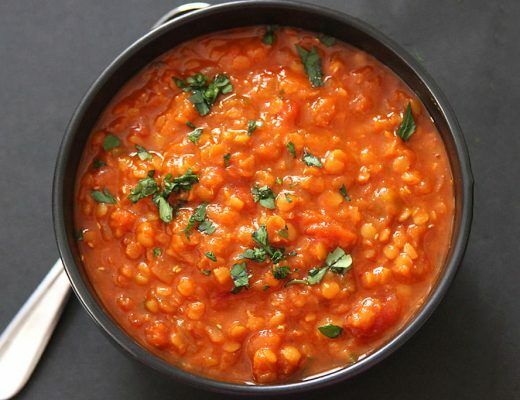 It is a complete meal in itself and I love the spicy kick. I like that this dish gives you the liberty to add whatever vegetable you have in stock. Oh my gosh, I love bibimbap! I spent a month in South Korea and this was one of the most tasteful and interesting dishes I ate there. 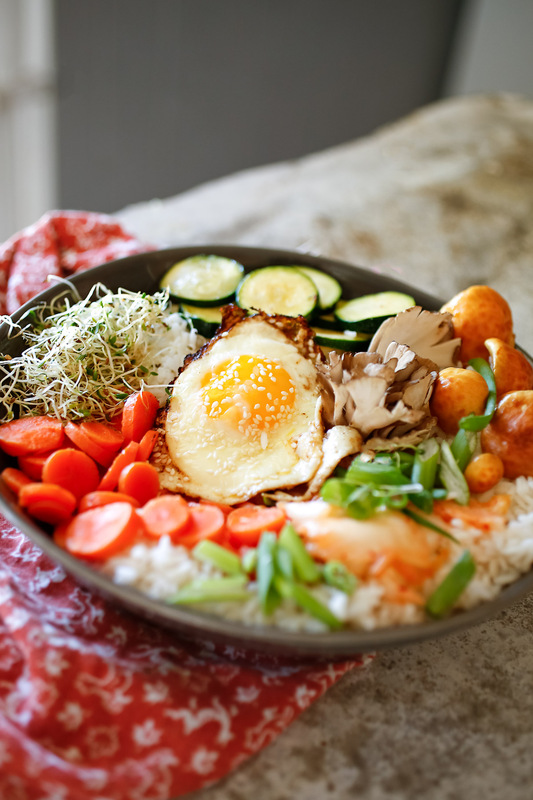 I LOVE miso soup, but have to admit I have never heard of Bibimbap, However, after learning what it is and seeing all of the delicious ingredients you added to yours, I am definitely giving it a try! I also love that it is versatile enough to where you can add whatever ingredients you like, and it still sounds like it will taste amazing! I have never tried this before but it looks delicious! I want to branch out with things I try and this would be great for me I will have to make this. This has got to be one of my favorite Korean dishes. I love it with Shiitake mushrooms, thinly sliced beef, bean sprouts and of course, the gochujang and sesame oil. I would love to try making this at home too! It does look like an amazingly beautiful dish. My in laws are Korean and I haven’t heard of this dish yet. I will have to ask them about it. This is quite a store and quite a plate too! I love it when cooking has a deeper meaning, it makes it much more spiritual. Never had Bibimbap or heard it before but if sure does look worth trying. The ingredients are not complicated, I will try this out and tell everyone I know how to prepare Korean meals haha.Sam is such an adorable baby. It sounds like you have really turned your life around. We have a Korean cafe near us, with delicious food. You have really given me the inspiration to try making this. Ive never heard of this, but this sounds like a delicious breakfast. I love all the toppings and textures. I’ll have to use my skillet to make this. I can’t decide which way to prepare my egg in it. I am using a fried egg kinda girl but cracking it over the dish to let it cook sounds just as yummy. I love Bibimbap! 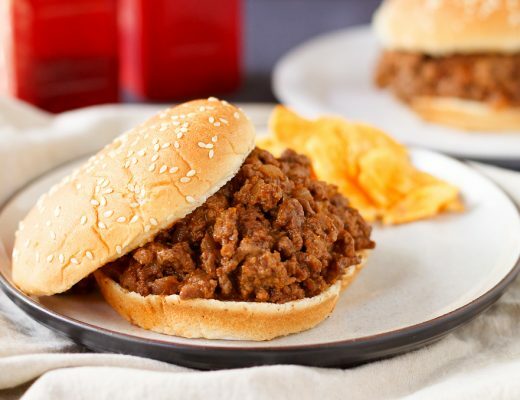 I’ve never tried to make it at home, but this recipe looks great I’ll have to try it out! And your photography is so beautiful I have to say! That food looks amazing! 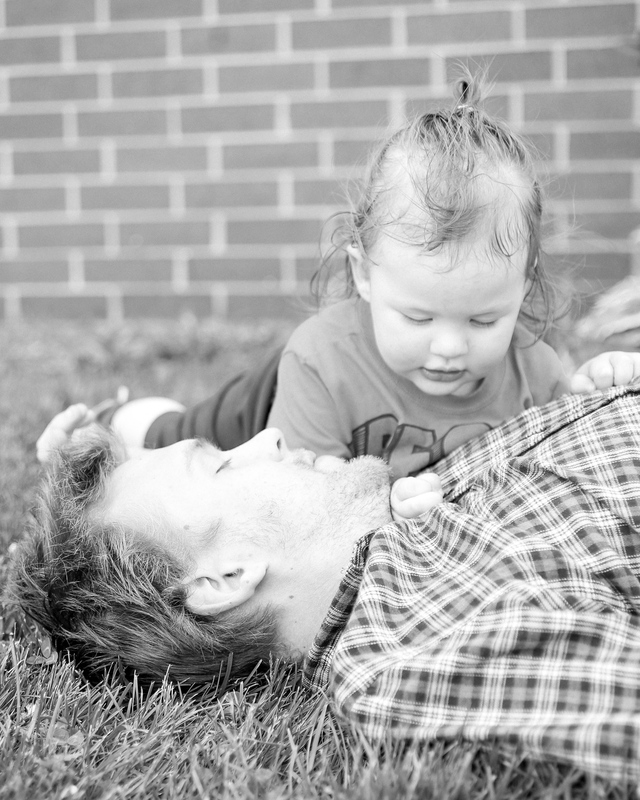 I love that you enjoyed time with your son, and how special to get to see your child as a parent! I am a ways off from that with my kids, but that will be fun to see one day. I discovered my love for Korean food and bibimbap in Indonesia, oddly enough. Found this nice little vegan Korean place where they made kimchi pancake, it was incredible!! Bibimbap is one of my favorites in Korean cuisine. My other favorites are Bulgogi, Chapchae, and of course, Kimchi. 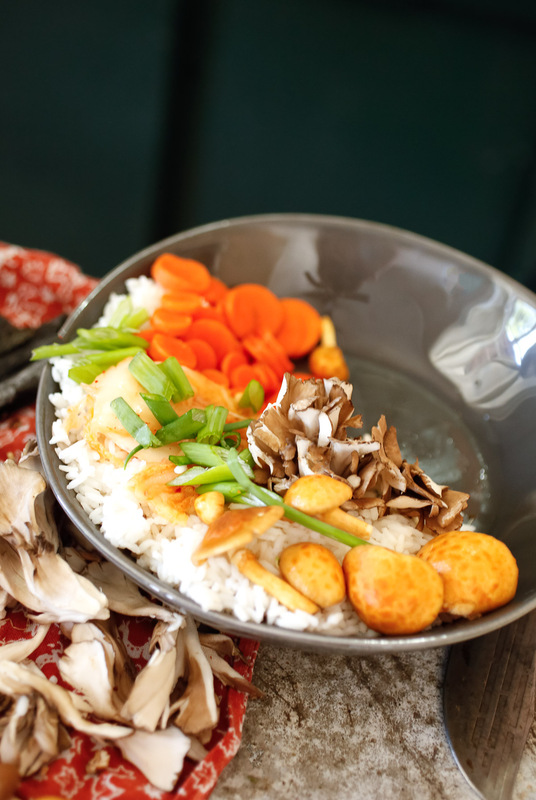 Bibimbap is so special because it takes time to prepare the dish, making it a labor of love to serve to the family. I love mine with Shiitake and Enoki mushrooms and beef as the protein source. Bibimbap is something that I have never heard of. Honestly, I have never eaten at a Korean restaurant before. It looks as though I am missing out for sure. I love that you have a story to go along with this recipe. What a beautiful story told through an exotic dish! How wonderful for your son to have found himself in the right place at the right time and everything just came together to make his life work in a new way. I never heard of Bibimbap but the story is fantastic. Would love to try this in the future (despite that fact I never heard of it before but now I am interested). Bibimbap sounds and looks incredible! I want to make it this week! yummy yum! Wow what a delicious looking dish! This story is just gorgeous too, what a gorgeous little boy! Thank you for sharing! This looks so delicious and easy to make too. I love the combination of veggies and protein. It is perfect for a brunch or even a light dinner. I think next weekend I will make this. It is something I want to have time to sit and enjoy with some mimosas. Just perfect for a father’s day celebration too. I love Korean food especially Bibimbap. Thanks for sharing your recipe! I’ll have to try this one day! Sometimes, it is the simplest things that bring us joy. I have never tried this dish before, but it looks amazing. Thank you for sharing how you make it with your family. This bowl does have true mean and I love the story. It is really inspirational. I will have to try making this bowl it sounds delicious and looks beautiful. Thanks for sharing. This looks delicious!! 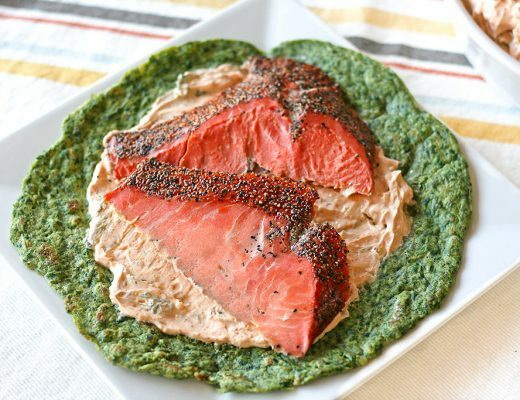 I love when a meal can come together in such a pretty and delicious way! I have never heard of this dish and it sounds absolutely delicious. I do love mixing and matching different ingredients to combine flavors & textures. This would be a delicious meal any day of the week. I’ve had bibimbap before and I crave for it from time to time. It is glorious and it is delicious. Anyone who has had it especially the ones who’ve tried it in Korea would boast about it and have this glow when they hear the name of the dish. It’s really amazing and it’s usually served with kimchi but you can definitely make your own mix! Wow, this meal looks beautiful as if served in a good restaurant. I admire people who ar not lazy to cook and serve something so beautiful just for themselves. Such a very inspiring stories enough to brighten my day . .. surely positive vibes. I love veggies I always have this on my daily diet. I heard Bibimbap to a friend who visit South Korea though I haven’t tried it yet shame on me! Now I am so anxious to try this dish , I like the miso soup my Mom knows how to make it. It is my special request on a cold season or if I am sick. I’m not a big fan of Korean food. Jap Chae is my favorite Korean dish though. I’ve never heard of Bibimbap before, but it looks simple and amazingly good! Thank you for sharing the story with it! I think I know what I’ll be trying in the kitchen. Your pan looks like a piece of art. Tried Bibimbap when I went to vacation in Korea and I loved it! I never know how it is being prepared and searched for it and I am glad to head over this post. You had also an amazing story behind this. Indeed we should be grateful for everyday.